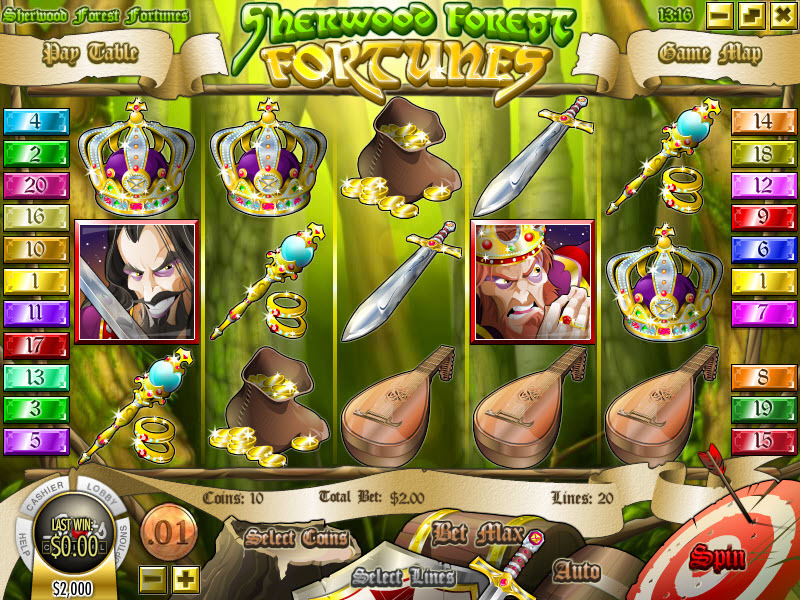 Overview: Draw your bow and aim for the bull's-eye with Sherwood Forest Fortunes, Rival's latest 5 reel I-slot. 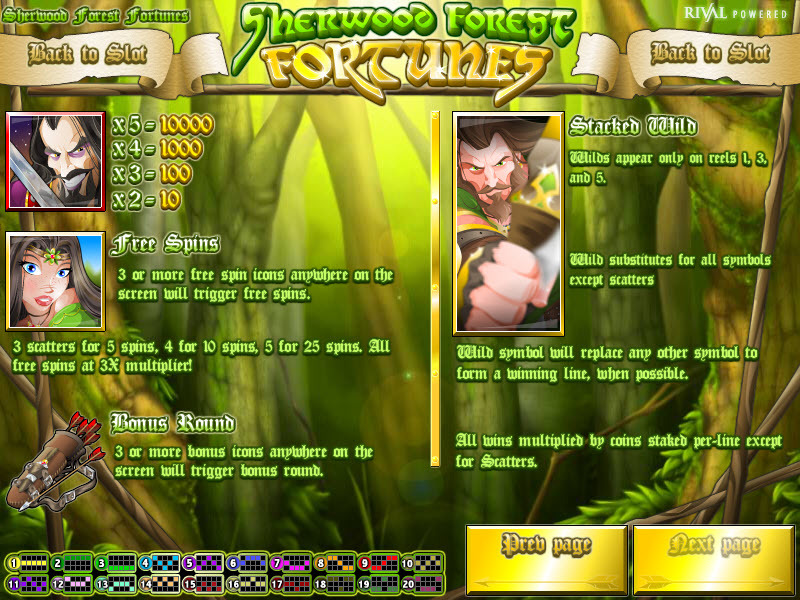 The Sheriff has been terrorizing the local villagers and it's up to you and your Merry Men to stop him. 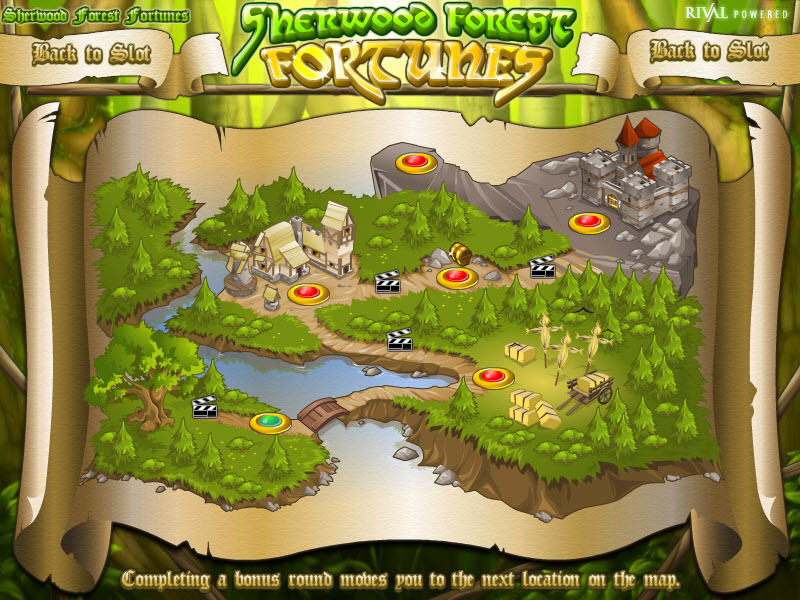 Track your progress on the Game Map as you search for the Sheriff throughout Sherwood Forest. 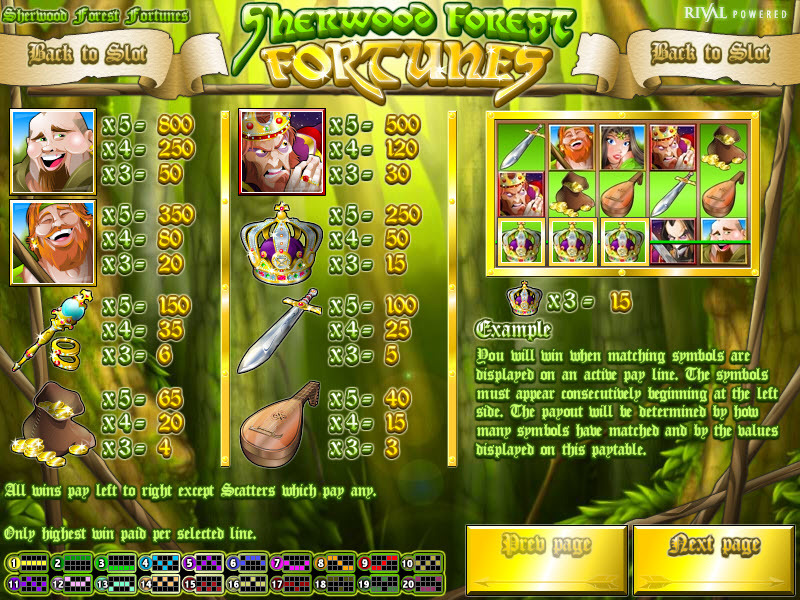 Similar Slots: If you like Sherwood Forest Fortunes, you might like these other Rival-powered i-slots: A Switch in Time, Bowled Over, Reel Crime - Art Heist, The Back Nine, Wild Safari.